Columbus, Ga. – April 19, 2017. 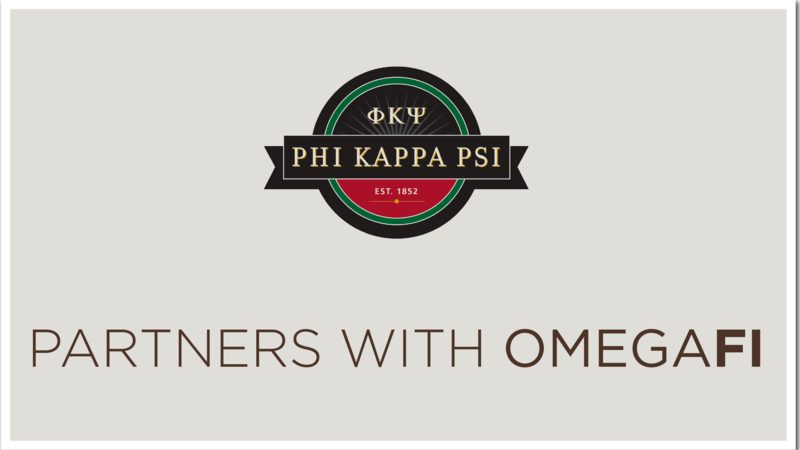 OmegaFi is honored to announce an enhanced partnership with Phi Kappa Psi Fraternity as their exclusive financial provider for chapters nationwide. Phi Kappa Psi seeks to improve chapter compliance with IRS reporting requirements, increase transparency and simplicity in the national dues and fees collection process and equip its chapters with the best possible administrative tools. With these additional efficiencies, Phi Kappa Psi staff and chapters can increase focus on mission critical objectives: recruitment, member development and service. OmegaFi has worked with Phi Kappa Psi chapters for nearly twenty years and are excited to expand the partnership and offer the remaining chapters OmegaFi’s financial management services. The partnership will help chapters master reporting logistics, streamline roster updates and report submission, resource center and communication portal, increased dues collection rates, pay bills, manage vendors and more. OmegaFi and Phi Kappa Psi aim to move all chapters to OmegaFi’s platform before Fall 2017 classes begin. The Phi Kappa Psi Fraternity is a 501(c)(7) association of men of integrity who strive to develop the individual in his intellect, in his involvement in the community and in his faith. The fraternity was founded on February 19, 1852 at Jefferson College by William Henry Letterman and Charles Page Thomas Moore. It currently has more than 100 chapters across the United States, with over 6,500 undergraduate members and over 80,000 living alumni. For more information, please contact Ron Ransom, Senior Director of Chapter Operations at Phi Kappa Psi (rkr@phikappapsi.com) or Addison Schopp, Director of Fraternity Relations at OmegaFi (aschopp@omegafi.com).